I would probably return as the quality was better than bk or McD. The personalized attention was nice, but one might need more explanation with the options offered. Very good food. 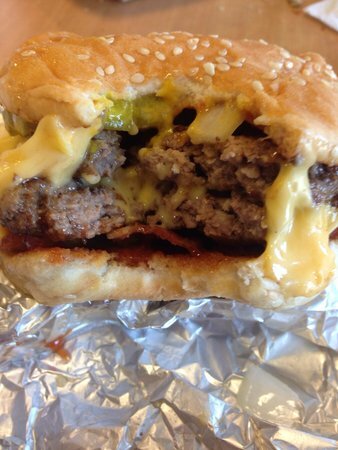 Unlimited topping on burgers. Unlimited peanuts. Fresh ingredients. Fast service. Friendly staff. Like their fries... 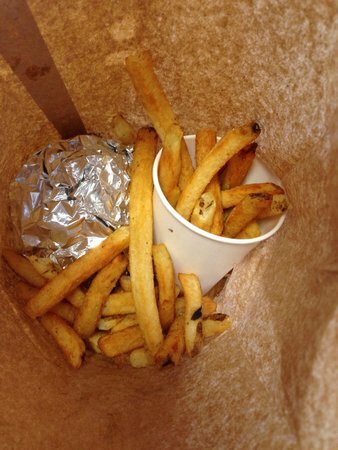 Resembles more like the fries prepared in many food trucks.. Provides quick service..